Kids who run toward their veggies? 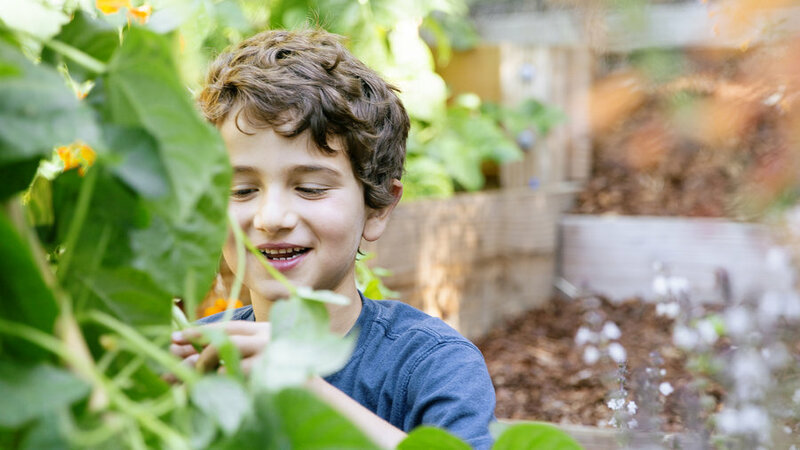 It’s a parent’s dream, and one that photographer Rachel Weill, mom of 11-year-old Daniel and 7-year-old Joshua, stumbled upon when she turned part of her backyard into an edible garden. 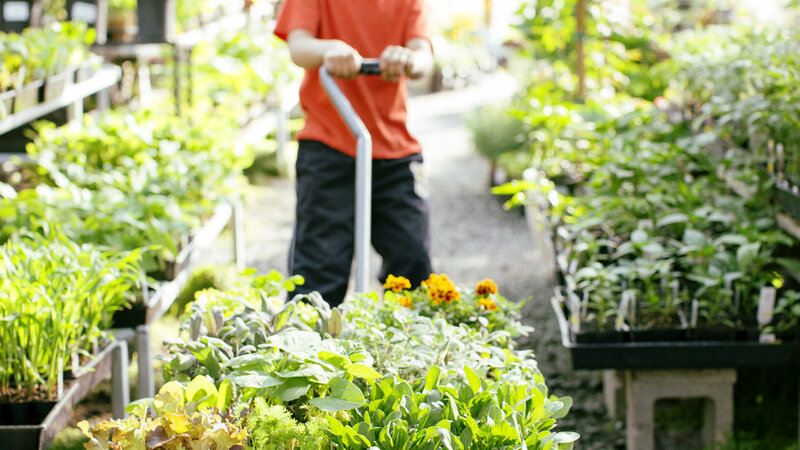 Use her tips to create a garden with kid appeal in your yard or neighborhood. 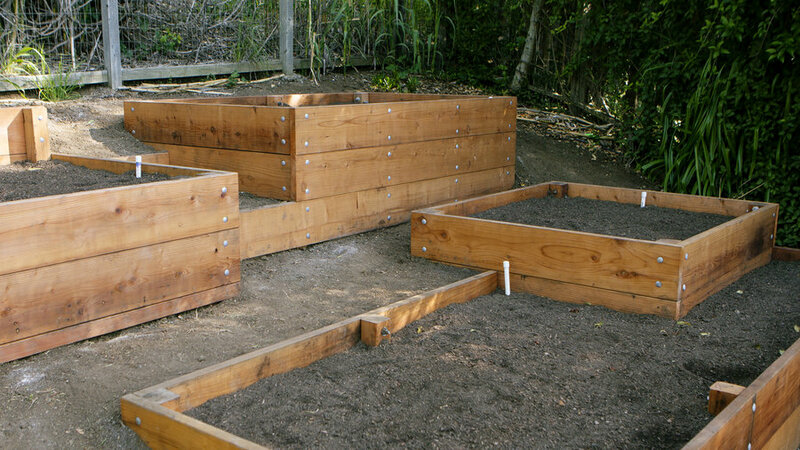 Gardening in raised beds rather than in the ground makes planting and harvesting easier for kids. Many of Weill’s vegetables, such as beans, cucumbers, and tomatoes, require a steady harvest for continued production. Daniel and Josh often help with maintenance while chomping on tomatoes. They also help with the less appealing work of keeping pests at bay by seeking out and collecting snails. Daniel got his own bed to care for. 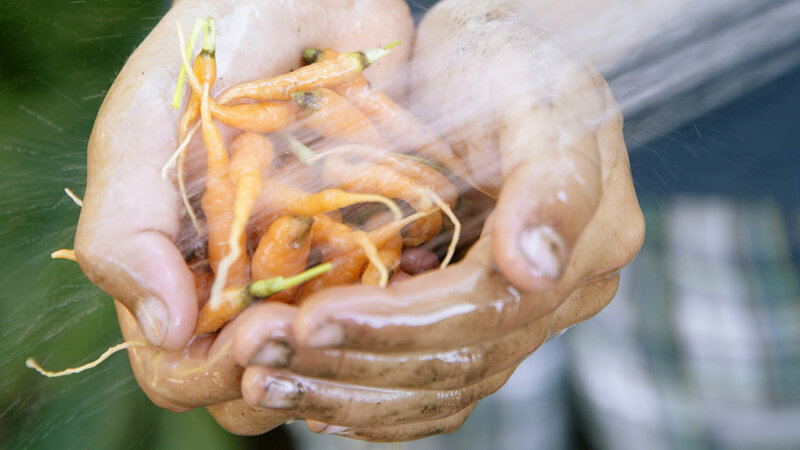 He planted carrots and green beans, while his younger brother, Joshua, got a cucumber plant to call his own. 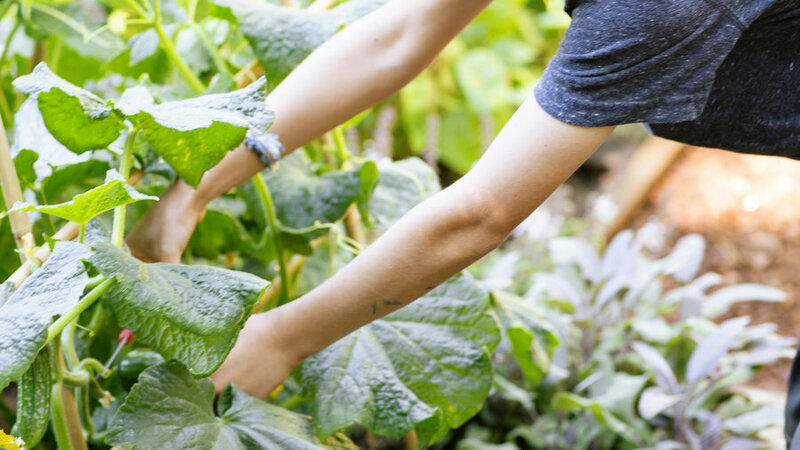 When Weill’s landscape designer suggested growing a few vegetables the kids don’t usually eat, she planted them anyway. What she discovered: When kids are involved in the planting, they’re more likely to try new vegetables. Daniel, for instance, now loves parsley. 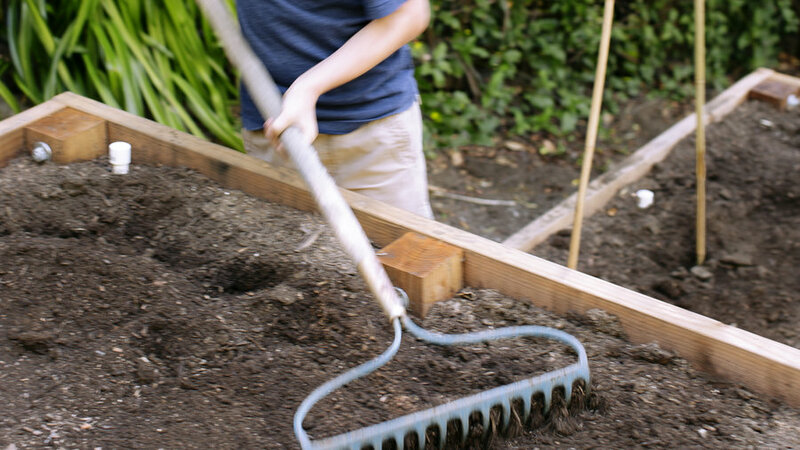 The rows that kids plant might not be the straightest, but remember, you’re trying to cultivate a love for gardening above all else.